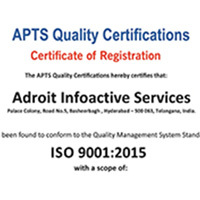 Adroit Infoactive Services is an innovative company providing complete and unique business solutions for corporations worldwide in key global communications areas ranging from translations and website designing to web based application development and Advertising services. Adroit Infoactive has been providing us with full service office management and support services for nearly two years. I have been impressed with their professionalism, enthusiasm and creativity in working with us on our first-of-its-kind start-up business in Hyderabad. I would recommend..
We have been a happy and satisfied customer of Adroit for both translation and documentation services. They always delivered their work on time and the translation delivered is always of high quality and accurate. I'm sure that as time goes by there will be more use of their..
© 2002-2019. 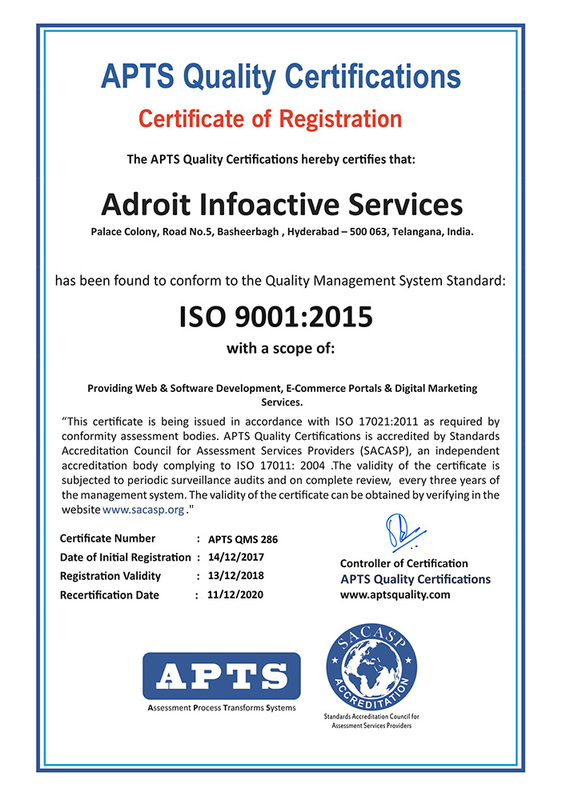 Adroit Infoactive Services. All Rights Reserved.